"Mom needs to use the computer for her job, which is recording clarinet music by a set due date. Son does NOT want to stop playing Minecraft. Son comes up with the idea to 'reprogram' the computer and leave Minecraft running, so when Mom starts to use the computer to record her song, she is sucked inside to fly around the peaceful Minecraft world her son left running. When the music finishes Mom returns to reality, wondering if it was all just a dream." The kids and I collaborated on the script, film direction, and production. 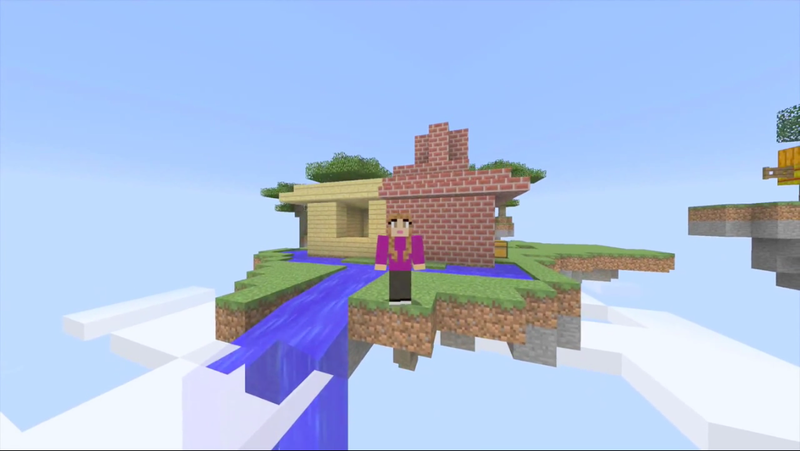 They created the Minecraft world, my skin, and acted my part in game themselves. Along with my husband, the kids also worked on the film editing and filming. We had a lot of fun together, and it will always be one of my favorite videos on my clarinet channel.